Nowadays, customers are facing increasing advertisements with the competition of different companies. To what extent do you think customers are influenced by advertisements? What measures can be taken to protect the customers? 现在广告愈来愈多，广告在多大的程度上影响了消费者，如何保护消费者? Currently，many people fail to balance the work with the other parts of lives, what are the reasons and how to solve it? 现在，一些人难以平衡工作和生活的其他部分，原因何在，如何解决? 2 Nowadays, people perform their everyday tasks, such as banking, shopping as well as business transactions, without the need of meeting other people face to face. What are the possible effects of the phenomenon on the individual and the society as a whole? 现在很多人可以通过网络做很多事情，例如购物和交易，这对于个人和社会的影响是什么? Someone believes that a tax-payer has done his part as a citizen. However, someone believes that a citizen should assume other responsibilities. Discuss both views and present your opinion. 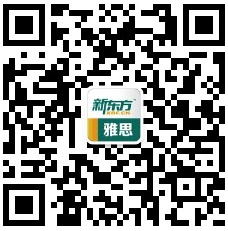 有人认为纳税者就已经尽到了公民责任，有认为认为公民应该承担其他责任，讨论两种观点，谈及你的立场?